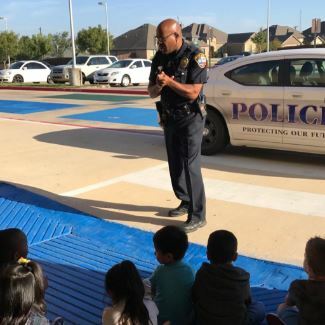 Perry's own MISD Officer Johnson came to visit with Prekindergarten on Thursday to talk about police officer's job as part of our community. 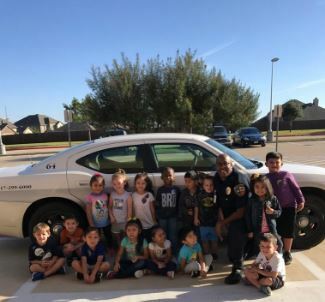 The students were excited about their visit with Officer Johnson, seeing his squad car, and getting a police officer sticker badge to wear on their shirt. Prekindergarten also had Firemen Mr. Roberts and Mr. Maxwell visit them and talk about fire safety.